Republican candidate Jil Tracy will run unopposed for the 47th District Senate seat in the November election. Incumbent state Sen. John Sullivan (D-Macomb) is retiring, leaving the seat open. The deadline for the Democratic Party to appoint a candidate was May 31. Tracy announced her candidacy on Oct. 26 at the Hancock County Courthouse in Carthage. State Sen. Christine Radogno (R-Oak Park) and state Rep. Randy Frese (R-Quincy) were by her side as she made the announcement. Tracy has positioned herself as a fiscal and social conservative who plans to work toward a balanced budget and improving policies to encourage job growth. Her platform also includes improvements in public education and finding solutions to provide an affordable higher education for Illinois students. Previously, Tracy served in the Illinois House of Representatives. She represented the 93rd and 94th Districts between 2006 and 2015. In the 2013 election, she was selected by Kirk Dillard as his gubernatorial running mate. Before entering public service, Tracy practiced law from 1980 to 1997. She served as the attorney for Mt. Sterling, Ripley and Mounds Station. 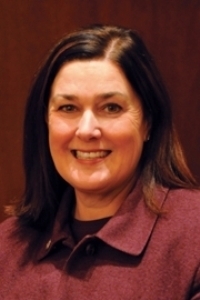 Attorney General Jim Ryan appointed Tracy as the Illinois Assistant Attorney General in 1997, where she remained in office until 2004. She received her law degree from the Southern Illinois University School of Law in 1979.